Watch Stadium is reporting that Alabama offensive coordinator Mike Locksley will be named Maryland’s head football coach this Thursday. 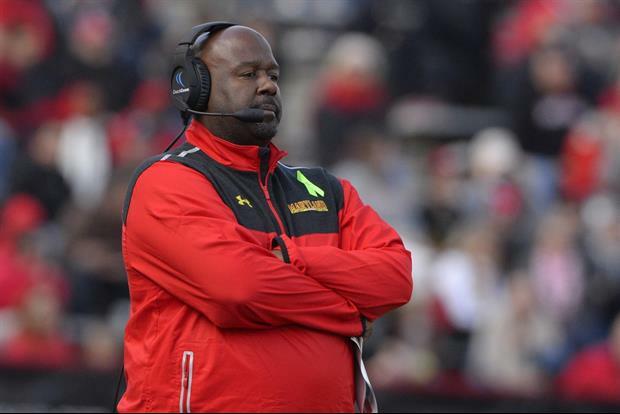 Alabama Offensive Coordinator Mike Locksley will be named Maryland’s head football coach, sources told Stadium. Locksley has agreed in principle to be the Terps’ coach and is expected to be introduced at a Thursday news conference, a source said. Tuesday, Locksley was named winner of the Frank Broyles Award, signifying the nation’s top assistant coach. Locksley was one of three finalists along with Michigan Passing Game Coordinator Pep Hamilton and Maryland Interim Head Coach Matt Canada. The Washington, D.C. native will return to Maryland where he was Terrapins offensive coordinator and quarterback coach from 2012–2015 and running backs coach from 1997-2002. He was also named the interim head coach in October of 2015 after Randy Edsall was terminated.